I learned this story from a friend a few years ago and it has always stuck with me as we’ve been working to build our business. 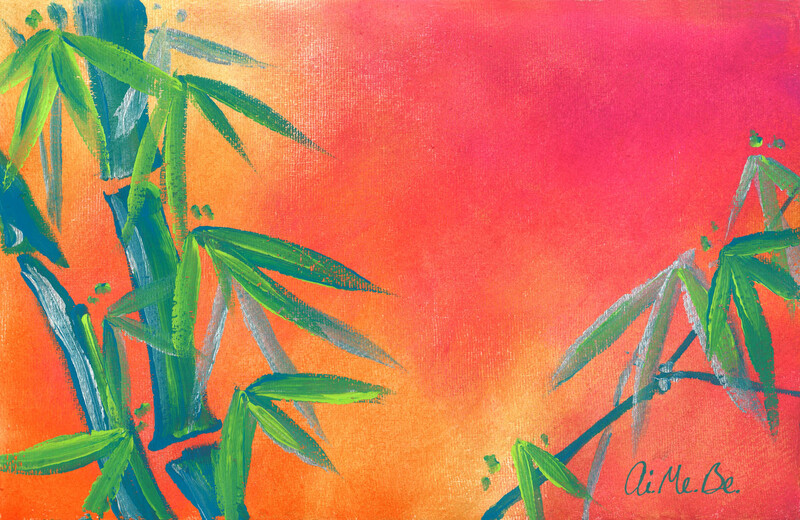 The story of the Bamboo tree is a great metaphorical lesson. Unlike normal crops that can be harvested annually, the Bamboo tree takes a little longer. The process goes like this: You take a little seed, plant it, water it, and fertilize it and nothing happens for four years. Then, sometime during the fourth year, the Bamboo tree sprouts and grows NINETY FEET IN SIX WEEKS! The story of the Bamboo tree is much like growing as an individual or a company – you must have faith, belief and persistence. Additionally, it is a story of stability, structure, and maturity. It’s about laying down and growing ROOTS that will become the FOUNDATION to support MASSIVE growth. Wonderful painting and reflection! Something to really keep in mind…and to keep heart in every venture. Thanks!